Probabilities for winter for the London area would be a more apt title for this post but that’s not very exciting compared with the hyperbole published almost daily by the likes of the Daily Express. Much has been written about the sources of their forecasts over the past couple of years. Splash headlines that promise Armageddon Arctic conditions or Biblical blizzards never seem to materialise. So without boring you further I’ll move on to my own views on how I think the next 90-odd days will unfold. Taking into account more sophisticated methods than my own there seems to be a signal for something colder than last year – though that’s not saying much given that 2013/14 was the 11th warmest winter on record with NO snow falling observed in this area. Though it was abandoned by the Met Office years ago I have decided to base my predictions more on analogues this year. I have a lot more data at my disposal – the series I use now extends past 1881 back to 1797. The figure I arrived at, taken as an average of the closest matching autumn periods, is a mean temperature of 4.2C with rainfall totalling 156mm over the months of December, January and February – that’s about a degree colder than average and about average rainfall – though I think it could be less given that December is looking relatively dry on the current model output. 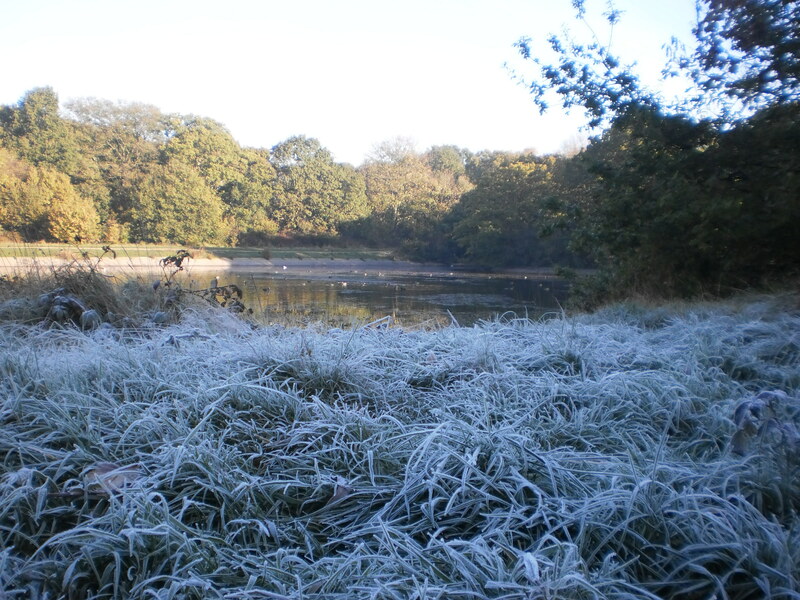 The probability of a winter with a mean temperature of between 3C and 4C is 33% – the most likely outcome – though this low figure emphasizes the mixed signals this autumn. With this in mind a winter similar to 1984/85 is possible which saw a brief cold snap at the end of December together with a two-week cold spell that began during the first week of January. There was also a 10-day cold spell during February of that winter. To try to add value to the above outcome I also had a look at the likelihood of this winter being as mild as last winter. It has been noted in the past that mild winters often come in twos. I had a look back through the series to see if this was true. The occurrence of two very mild winters in succession is 27/217 (12.4%). The occurrence of a very mild winter being followed by a very cold or severe winter is 16/217 (7.4%). So while, from these simple stats, another mild winter is more likely, it is not really high enough to consider over the average I found in the first calculation made from straight autumn statistics. A final fact to consider is just how mild and wet this year has been. Every month this year, apart from August, has been warmer than average by an average factor of 1.2. If December continues warm this year could possibly end as the warmest on record. However, it is also possible that nature is about to redress the balance. 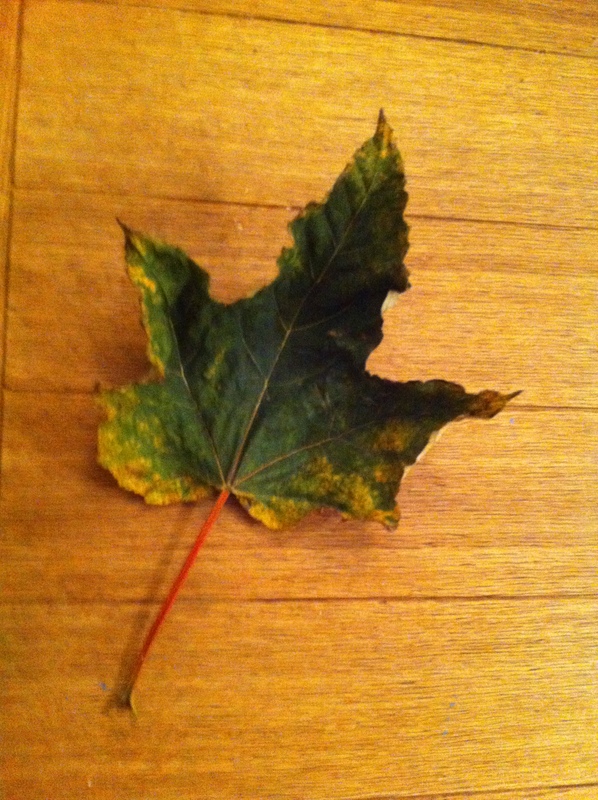 Here is a link of my method to predict the coming winter. * Forecasting models use probability on any given outcome. Millions of observations are fed into the Met Office database (and other countries’ weather agencies) every day. Supercomputers then crunch through this data to give probable outcomes. With the volatility of the atmosphere it is not surprising that certainty of any outcome often falls away rapidly. Forecasting has improved greatly in the last 20 years – though anything the models churn out beyond three to five days should be handled with caution. Long range models can give *some* idea of general trends for the months ahead – but changing just one variable can vastly alter an outcome at the end of the run. * *Over the past few months I have been collating data for the area around Wanstead. This data is freely available from the excellent Met Office library and is emailed via Excel spreadsheet. Rainfall stats include a near-complete daily archive, stretching from 1961 to 2003, from City of London Cemetery . Sadly the rainfall station, along with many others, ceased to supply the Met Office after cuts were made shortly after the turn of century. Prior to 1961 I have used monthly figures taken at the Greenwich Royal Observatory stretching back to 1881. Though this is 6 miles away the difference in temperature between the two areas would be miniscule compared with rainfall data and so can be used. I use my own stats for the period after 2003. Christmas in Victorian London is often portrayed as very cold and snowy – picture perfect images of Yuletides past always scream out at us every year we open a box of Christmas cards. But a look back through the meteorological records of the Royal Observatory at Greenwich reveals a very different reality. The 1840s and 1850s, decades where most Christmas traditions marked today began, were often very mild, wet and windy – indeed the warmest Christmas Day maximum temperature at Greenwich occurred in 1852 when the mercury reached 13.3C. Like modern times, however, there were exceptions and 1840 was very cold – the record for Christmas Day mentions “trees coated with rime (ice) 3/8 inch thick”! The following 20 years saw Christmas morning much milder – well over half had maxima of 6C or higher. In 1843, the year Charles Dickens first published A Christmas Carol and the public sent their first Christmas cards, the temperature reached a balmy 10.1C – though dense fog probably made it feel at least a bit more seasonal. Four years later in 1847, the year the capital’s Tom Smith invented the Christmas cracker, things were a bit colder – a high of 4.2C and overcast with rain late evening. The following year an image of Victoria and Albert celebrating with their family around a Christmas tree appeared in the Illustrated London News. Like many things Royal down the years it really captured the public’s imagination of taking a spruce or similar evergreen into their living rooms and decorating it every Yuletide. 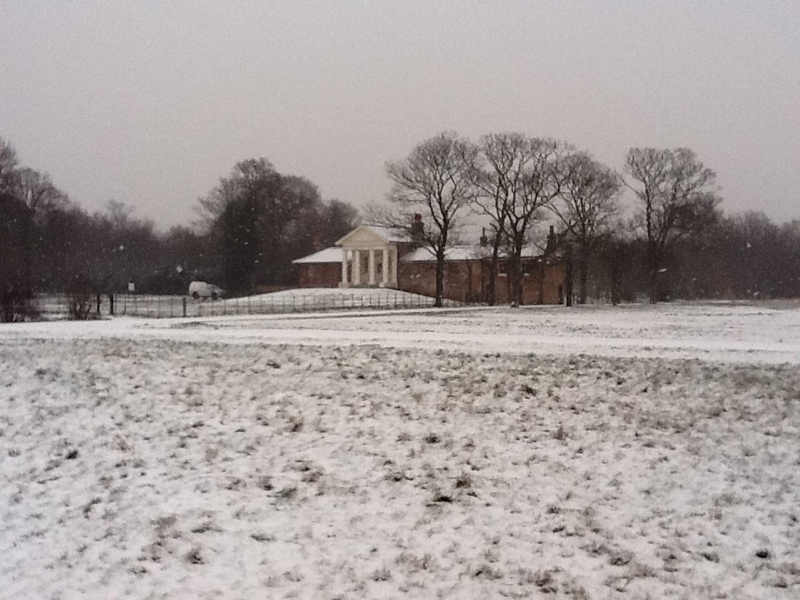 Christmas two years later, in 1849, was at least cold enough for something wintry to fall. London, however, was still coming to terms with its worst-ever cholera outbreak. With around 14,000 deaths from the disease Christmas was probably not a high priority that winter. When Good King Wenceslas was first included in Carols for Christmas-Tide in 1853 the day was cold but there was still no “deep, crisp and even” snow or “rude wind’s wild lament”. The day stayed calm and clear. Though the period either side of December 25th began to be marked with cold, snowy spells it would be another 11 years before London experienced its first official white Christmas in 1864. Sleet, which fell at the end of a 4-day cold spell, probably added to the drama of swimmers taking part in the first Christmas Day swim in the Serpentine, Hyde Park. With a high temperature of just 1.4C it’s quite feasible the few who braved it probably had to break the ice before they took the plunge. Five years later London experienced another white Christmas with snow falling in a north-easterly breeze – the start of a four-day cold spell. The joint-coldest Christmas Day on record followed five years later in 1870 with a mean temperature of -7.2C. The building of the Royal Albert Hall was scheduled to be completed by December 25th but it was not until March 29th 1871 that it was officially opened by Queen Victoria. The remainder of Victoria’s reign was marked with far more white Christmases, a period where nearly two-thirds of Decembers were marked with extended cold, snowy spells. 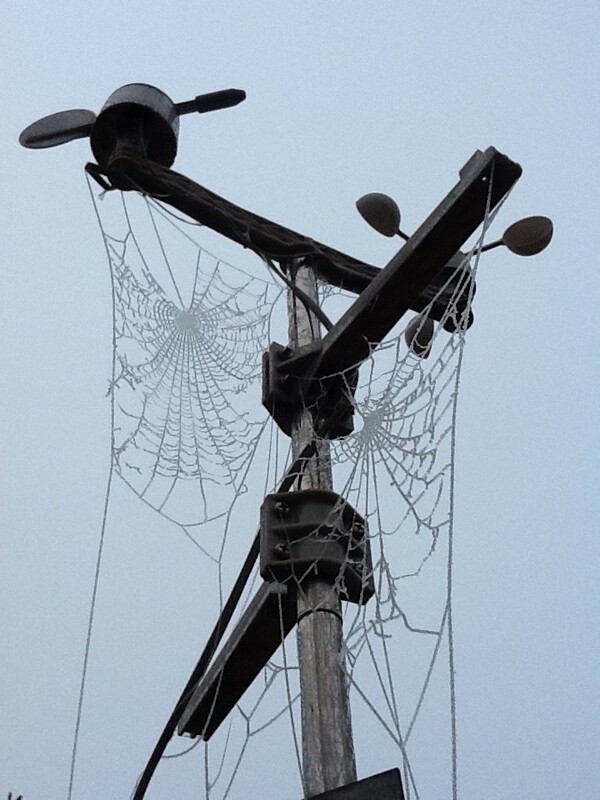 Fog and frost were also frequent. With a new century and new monarch Christmas-time turned milder and London would have to wait until close to the end of Edward VII’s reign in 1909 to see a ‘white Christmas’ – a poor affair with just a bit a sleet mixed in with the rain late morning. Many probably failed to notice it but it still counts as a white Christmas according to modern bookie’s standards. Four of the 26 Christmas Days of George V’s reign were white but the mean temperatures suggest they were all marginal affairs – the core cold weather happening either before or after the 25th. Of note also is the dominance of south-westerlies that brought mild and wet weather – nine out of ten Christmas Days in the 1920s saw rain falling – far in excess of the average for rain on Christmas Day which is 47 per cent. 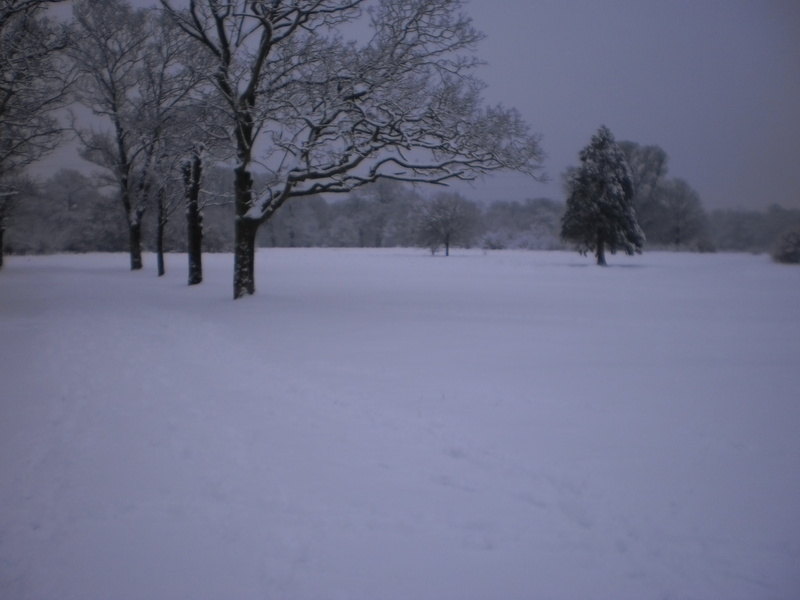 Just one Christmas was white during George VI’s reign, a ‘good covering of snow’ was recorded by observers at Greenwich in 1938 – the snow falling at the end of a 7-day cold spell. Sunshine was not a dominant feature of Christmas Day prior to Queen Elizabeth II coming to the throne – the average total in Greenwich from 1877 to 1951 was just under 0.8hrs. Yet the average sunshine total for Christmas Day for the first four years of Elizabeth’s reign jumped to 5.2 hours. The 6.5 hours on Christmas Day 1952 is a record that still stands today! It is remarkable that this record was set just over a fortnight after the Great Smog contributed to the deaths of 4,000 people though other studies put the figure at 12,000 people. The Clean Air Act 1956 ironically saw the return of dull Christmas Days – though 1956 was a white Christmas with a light covering of snow and a maximum of zero Celsius. White Christmas Days that followed included 1957 (showery sleet), 1964, 1968 (sleet), and 1970. Christmas Day 1976 was the last time snow actually fell on Christmas Day in this area though, officially, the last white Christmas was 1996 when a few sleety flakes fell in the early morning. Christmas Days since then have been mostly mild affairs in London. Of course we had a taste of what a Dickensian Christmas Day was like four years ago when the mean temperature for the day was -1.9C. There were still small patches of snow in our gardens but these were leftovers from a previous dump, so it doesn’t count as a white Christmas. 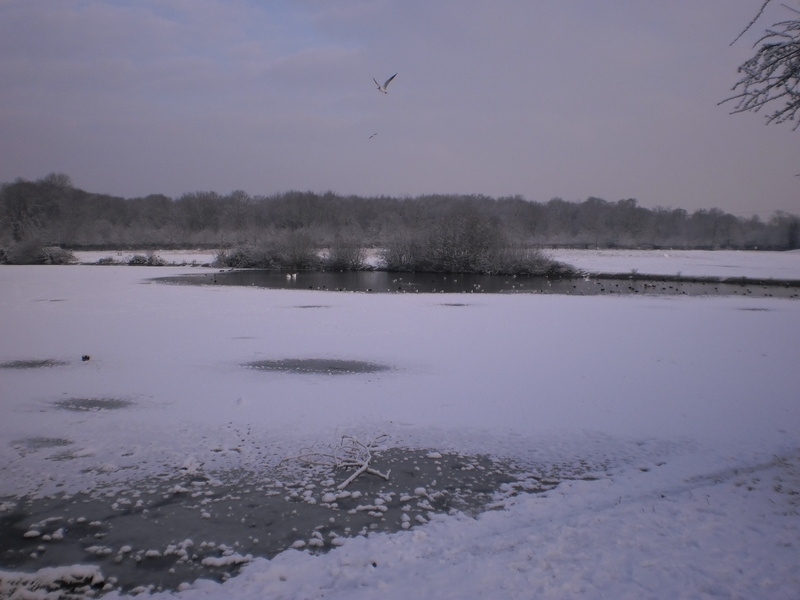 Frustratingly, there has been snow on several Boxing Days in Wanstead (1995 and 1996) and in the weeks running up to Christmas, but not on Christmas day itself. The warmest Christmas Day in this area occurred in 2015 when a maximum of 15.2C was recorded. Warm air sourced from off the west coast of Africa sent dew points soaring, the minimum on Christmas Day night into Boxing Day did not fall below 13.5C, another record. The synoptic chart for 0000z Christmas Day 2015 shows ever-warmer air being pumped northwards over the British Isles. It is surprising how varied the weather can be on Christmas Day – we always think that Yuletide in the ‘Olden Days’ was a cold affair but a look back to 1840 reveals there were times when it was just as mild as it has been in recent years. * Statistics for every Christmas Day since 1840 can be found here. ** The definition of a white Christmas used most widely – notably by the bookies – is for a single snowflake, even if it lands in the midst of heavy rain, to be observed falling in the 24 hours of 25 December at a specified location recognised by the Met Office. 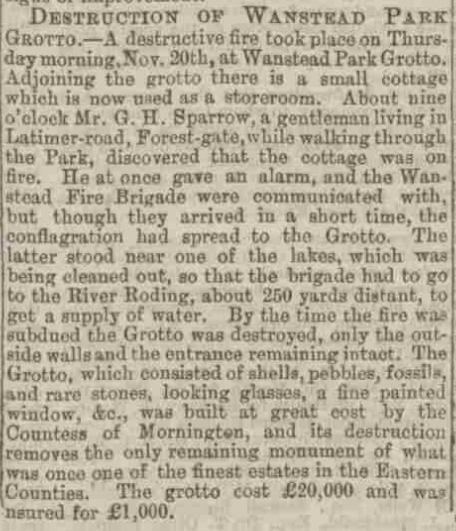 It was 130 years ago this morning that The Grotto in Wanstead Park was destroyed by fire. The building, once part of the grand estate, was being used as a store room since the park’s acquisition by the Corporation of London. The fire, according to a local report at the time, initially started in a cottage adjacent to the Grotto and was discovered about 9 o’clock by a man who had been walking through the park. Mr G. H. Sparrow, of Latimer Road, Forest Gate, raised the alarm with Wanstead Fire Brigade who, despite arriving quickly, were too late to stop the fire spreading from the cottage to the Grotto. Their efforts were further hampered because the Ornamental Water was being cleansed – a supply of water was 250 yards distant from the River Roding, a fact that cost precious minutes. By the time the fire was subdued the place was entirely destroyed – only the outside walls and entrance remained intact, probably more or less what you can see today. The building was composed of shells, pebbles, fossils, rare stones, looking glasses and “a fine painted window that was built at an immense expenditure by the Countess of Mornington”. Its destruction removed the only remaining monument of what was once one of the great estates in the Eastern Counties. I’ve often wondered if the weather could have played a part in the demise of the Grotto. The monthly average for November, however, suggests not. A mean of 5.7C is over 3C colder than what we’ve seen this November and although it was a dry month with 45mm of rain – that total is nothing out of the ordinary for the month. Conditions on the day were uncannily like this morning: bright though chilly, the temperature only rising to 7C after an overnight low of 2C. Perhaps one contributing factor was the north-westerly breeze which would have helped drive the flames through the structure. One could also point to the fact that Ornamental Waters had no water to douse the flames. Though the fact that it was empty is nothing new as the entire lake system had retention problems from the park’s inception. Perhaps it is a case that fires do just sometimes happen regardless of how careful we are in preventing them. 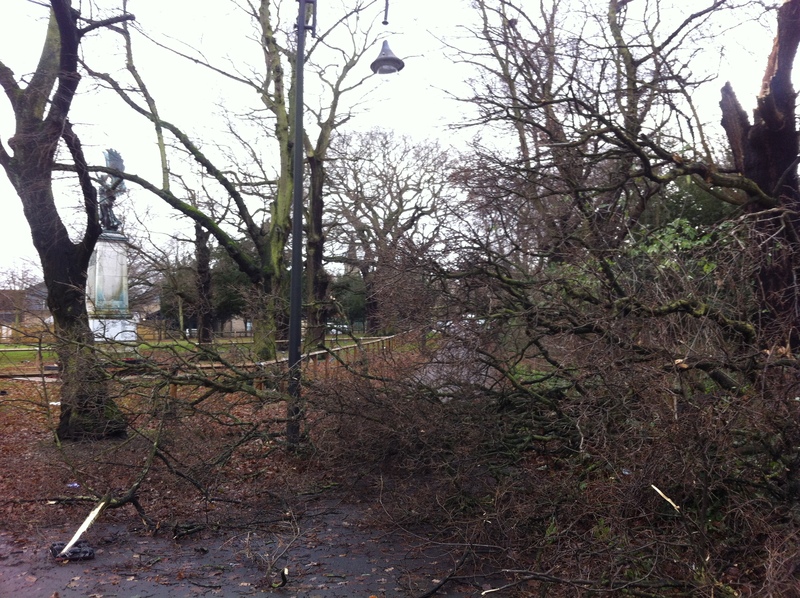 It is sad that bad luck seemed to hit the Grotto just like it saw the demise of Wanstead House decades before. Save for the warmest Hallowe’en on record and a notable depression on the 21st October was a relatively quiet month. The month was warmer than average; the mean temperature of 13.7C was 1.9C above average, making it the 5th warmest October since 1797: 0.7C warmer than last October, though only the warmest since 2011. The dry and sunny start was replaced with a very unsettled regime at the end of the first week which lasted until the end of the second week – with 39.5mm of rain falling over the 12th and 13th, a notable total for this region. It was wetter than average: 82.4mm represents 123 per cent of what we’d expect to fall in a normal October. 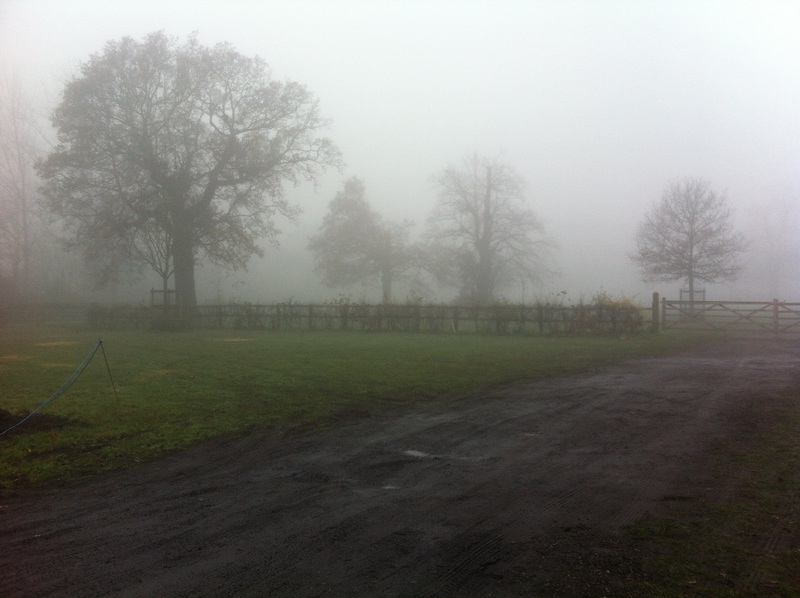 Despite it being wet it was only the 74th wettest October in the series back to 1797. The warmest day occurred on the 31st with 21.5C recorded. Many nights were warm with date records matched or broken. Cold nights, relative to the time of year were few. 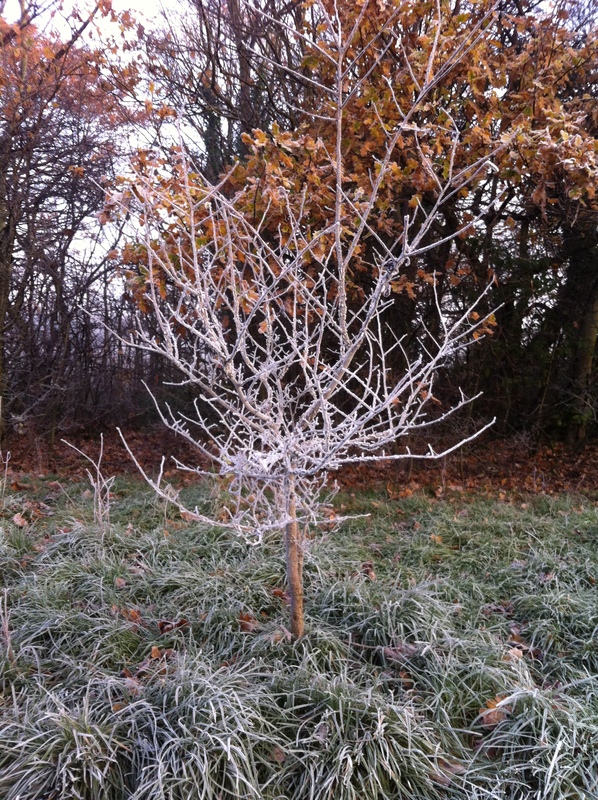 The lowest temperature occurred on 4th when the mercury fell to 2C – a ground frost was narrowly avoided with the grass minimum thermometer falling to 0.2C. Sunshine was slightly below average with 103.6 hours recorded – that’s 97 per cent of mean. The sunniest day was on the 5th when 9 hours of sunshine were recorded.